Brett Favre To Finally Retire? Maybe! It’s that time of year again. Brett Favre can’t make up his mind about whether or not he wants to retire from the National Football League. The first-ballot Hall-of-Famer is coming off one of his best seasons, both in terms of his personal statistics and the television ratings he inspired, while playing for the Minnesota Vikings last year, and the team nearly made it to the Super Bowl. 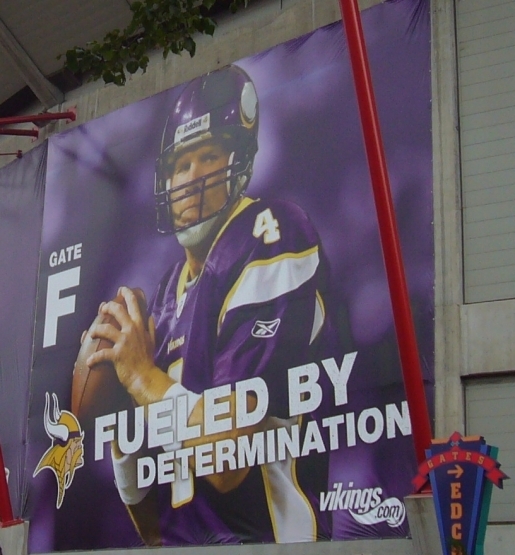 Favre might be the key needed to finally push that team over the edge, assuming he stays. According to some, Favre has been texting teammates, saying he was ready to finally retire. Others aren’t so sure. As for the horse in question, Brett Favre isn’t talking (but he is singing “Pants on the Ground” somewhere in Mississippi).